Power outages are very common in India, and hence an uninterrupted power supply has become almost an inevitable element everywhere. The significance of UPS is very high in the case of businesses. Be it a small business or a large one; an unexpected power outage may cause undesirable consequences. Hence you cannot overlook this issue altogether. Buying a UPS is not a big deal as there are plenty of good suppliers. Online UPS dealers in Chennai are very popular as they let you procure the perfect UPS for your home or business with minimum effort. Power outages generally last only for short durations and hence if you have a good UPS system, you would get sufficient time to make data backups and complete critical tasks. In addition to that, it also protects your computer and other devices from sudden voltage fluctuations during lightning, transformer or distribution failure, etc. What are the important types of UPS? There are mainly three types of UPS in general. The offline or Standby UPS is the simplest type of UPS with just the basic features, that is power backup and voltage surge protection. This type of UPS comes into action when the incoming power fails, or the incoming voltage goes beyond or drops below certain set values. This is the most common type of UPS used in houses. The line-interactive UPS possesses an additional feature when compared to an offline UPS. It consists of an Automatic Voltage Regulator which can correct voltage variations without shifting to batteries. Hence steady operation is guaranteed even at low or high incoming voltages without requiring a switchover to batteries. A line-interactive UPS is perfect for small-scale professional requirements. In a double conversion UPS, the inverter is always connected to the batteries, and hence no switching over is required when power outages occur. Batteries supply continuous power during power losses, and they get charged by a rectifier when the power comes back. These are ideal for places which consist of power-sensitive equipment and provide critical services. Plan UPS Installation By Considering The Following Factors! Buying a UPS is easy. But before buying it, you must consider the following factors so that you do not face any issue with its installation or use. Capacity and load management – The amount of power, which can be delivered by every UPS is limited. You should choose the capacity of your Ups depending on the number of devices it has to support. The capacity of a UPS is specified in Volt-Amperes (VA or KVA) and Watts (W or KW). You should sum up power usage (in W or KW) of all the devices for which you need power backup. The power specifications of your UPS should be at least 25% greater than the sum. But remember, it is always wise not to use the complete loading capacity for smooth operation. Hence, you must pay attention to the number of devices you connect to the UPS. It won’t function if you connect too many devices. Power backup time – You should have an idea regarding how long you need a power backup. This depends on the purpose for which the UPS will be used. The backup time provided by a UPS may vary for home applications with less load and business applications with comparatively more load. Small companies usually prefer a UPS which provides a backup time until they save their data, complete the critical missions and safely shut down the systems. 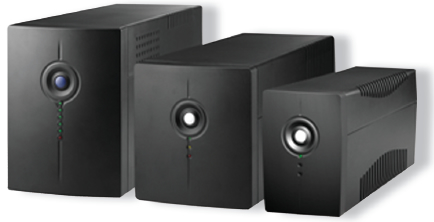 Type of the UPS – Line-interactive UPS is better than offline UPS, and online UPS is better than the Line-interactive. So, even though an offline UPS may suffice you, if you feel that you can afford a better one, go for it! If the price difference is not so high, it is always preferable to go for better reliability and protection. Size of the UPS – Coming to the size of the UPS, a bigger one would be preferable because it provides greater backup time and better battery life. Moreover, you have the provision to increase loads in future. So, go for a big one if the additional cost you have to pay is not very high. Other factors – Other important factors to consider while buying a UPS are brand reputation, services they provide, warranty period, etc. While enquiring about the service, make sure that you check whether their services are locally available or not. The availability of a local service centre is critical for a UPS system. So, pay attention to these factors and procure the best UPS is available in the market. Enjoy uninterrupted power!